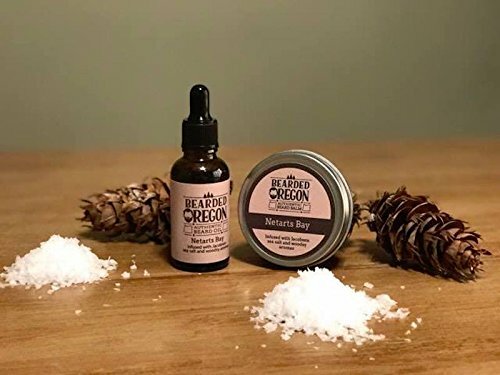 Netarts Bay Beard Balm by Bearded Oregon at Nicky's Blog. Hurry! Limited time offer. Offer valid only while supplies last. Have you ever been to the Oregon Coast, closed your eyes, and breathed in the crisp air? That's what we wanted to encompass in our Netarts Bay scent. Have you ever been to the Oregon Coast, closed your eyes, and breathed in the crisp air? That's what we wanted to encompass in our Netarts Bay scent. We partnered with Jacobsen Salt to provide you with the perfect blend of salty ocean air and majestic pine trees. Netarts Bay will not only give your beard a fuller look, but it will make you feel like you're just feet away from the salty ocean shore. View More In Beard Conditioners & Oils. If you have any questions about this product by Bearded Oregon, contact us by completing and submitting the form below. If you are looking for a specif part number, please include it with your message.